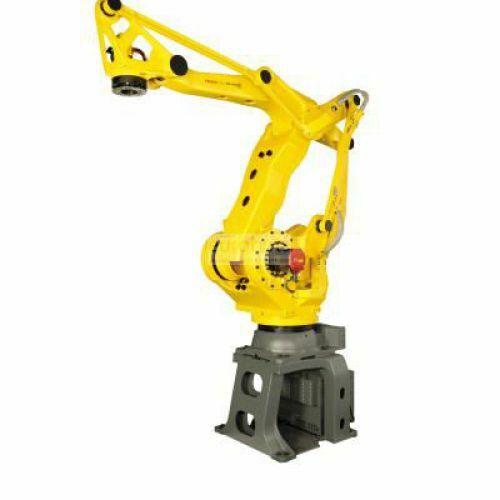 Industrial Robot M-410iC / 500 is the optimized version of the M-410iC / 450 with high power and higher speed with a large payload capacity of 500 kg offering high performance. According to the application this robot can be installed on a pedestal providing greater flexibility. 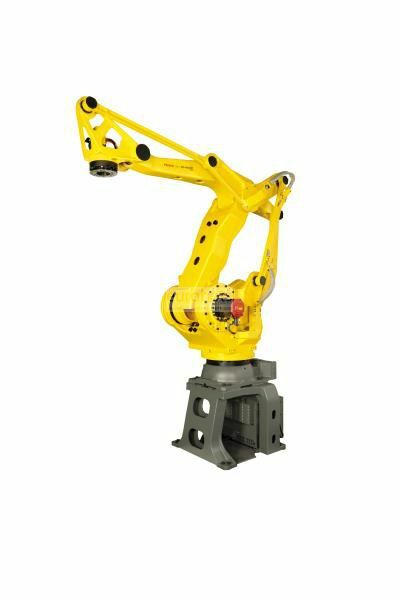 The M-410 series from Fanuc specializes in high performance palletization and handling with 700 kg load capacity and 3 m in arm reach. It offers a great work envelope. It can handle large tweezers and heavy loads at maximum speed. Internal wiring through the wrist for safety. There is the integrated base model with controller and pedestal and without pedestal saves space and facilitates assembly and transport.